It's Monday and our weekend flew by so quickly. We were pretty lazy besides cooking out and watching the game with friends on Saturday. I am glad we didn't do too much because we are heading to a wedding this weekend and I know it is going to be such a fun and busy weekend. I took Friday off, since Henry is playing golf with the wedding party, so it is a short week for this lady! I am looking forward to our first trip out of town since July, and the Fall party season will officially be in full swing. Charlie and I made our usual Friday commute to the river. 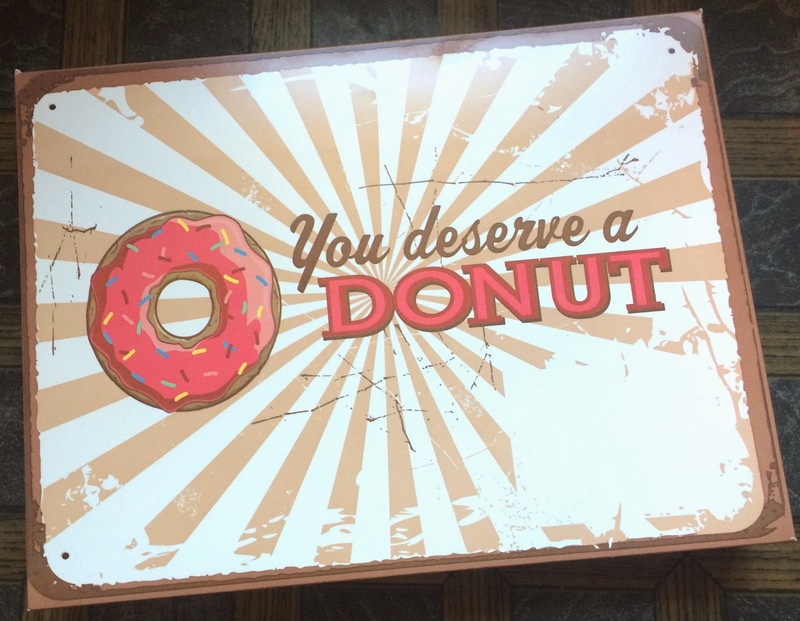 Henry and I finally got to try a new donut place near our house Sunday morning and they did not disappoint y'all. We will be going back! I mean how cute is the box? 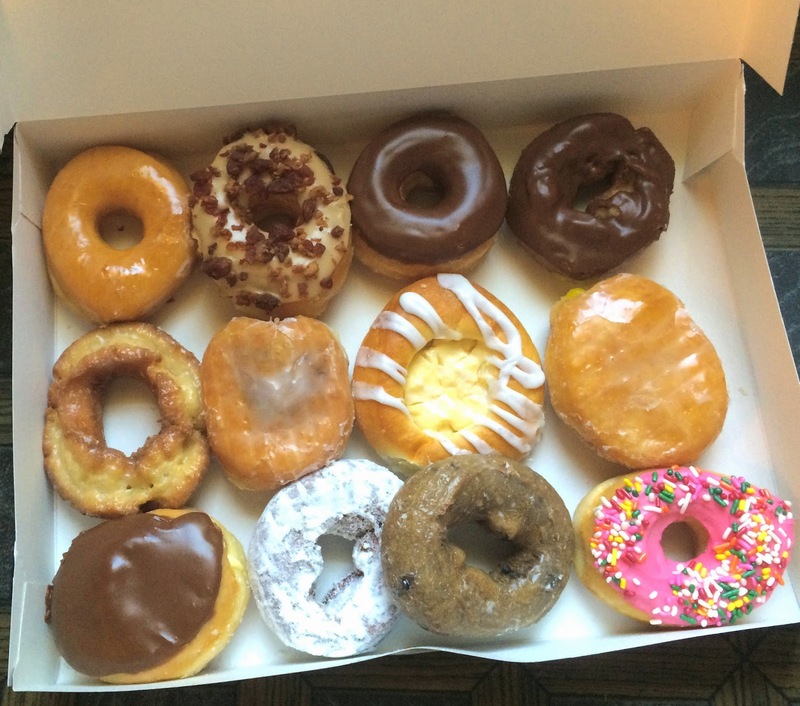 We went with the dozen sampler of their top sellers. The maple-bacon was melt in your mouth. I also really liked the crullers. Decided to break out my Fall Scentsy smells leftover from last season. Pumpkin roll is one of my all-time favorites. It looks really festive in my Scentsy! 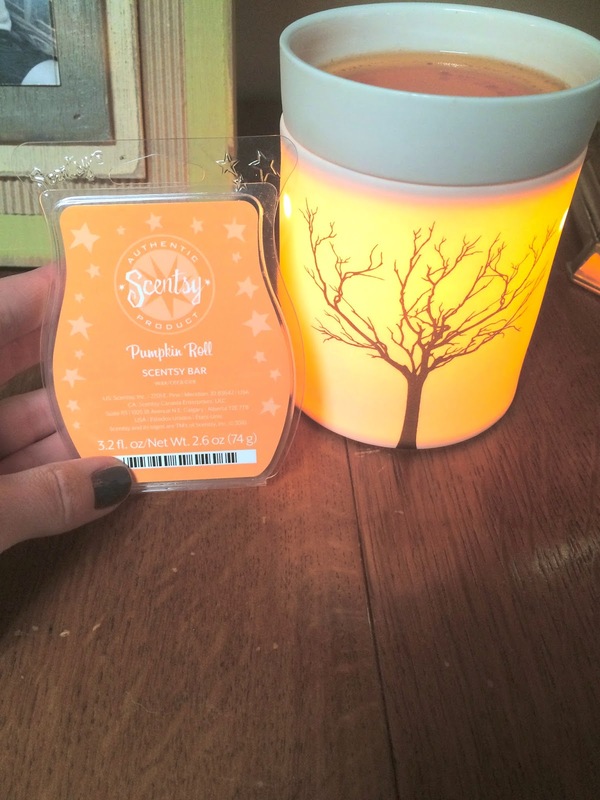 I need to make a new Fall Scentsy purchase soon. This is mainly what my weekend consisted of and it was wonderful. I am obsessed with my new book - A Discovery of Witches. I seriously can't put it down. 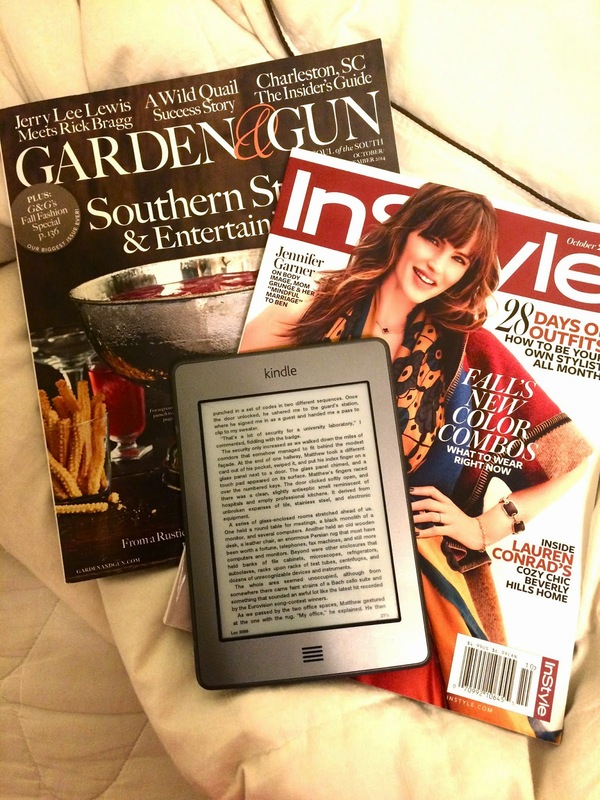 I also finally got to read some new October mags. Seriously loving the cover of Garden & Gun this month. It made me want to make a batch of cheese straws. I am also obsessed with the Burberry poncho on the cover of InStyle that has been on everyone fashionable recently, monogrammed with their initials. It is fantastic. 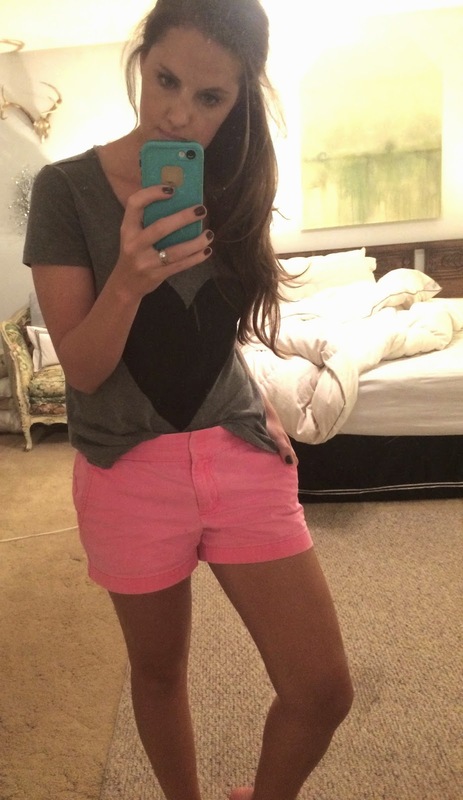 Casual Sunday OOTD - Wearing my cozy target heart tee and my favorite J.Crew chino shorts. Clearly Sunday is laundry day. 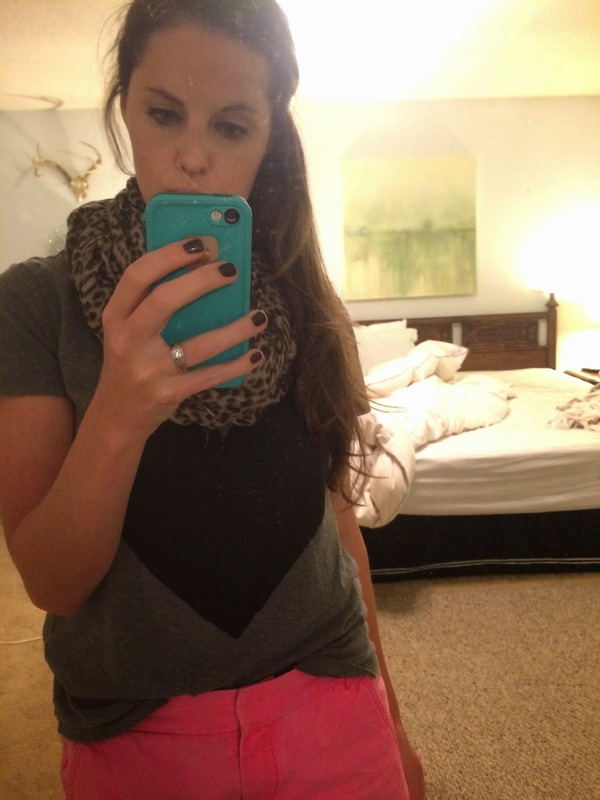 I decided to add my favorite skulls scarf I found last season and I can't wait to start wearing scarves again! I have been wearing this perfume again and it is the perfect spicy scent to bring in a new season. Just a little heavier but not too strong for everyday wear. 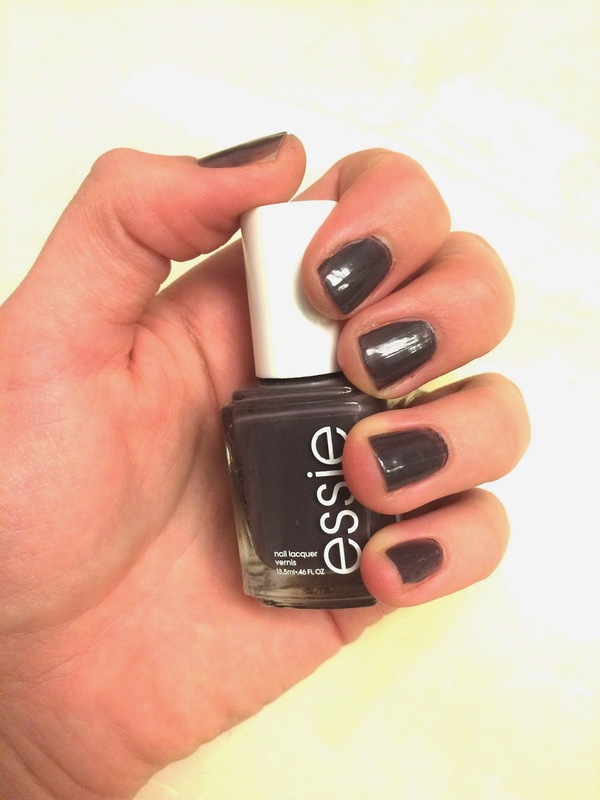 What are some of your favorite nail colors for Fall?